Being a mother is a full-time job. Breaks are few and far in between, and given such little time after caring for your kids all day and all week, the last thing you’d probably want is to get involved in an elaborate hair care routine, for which there won’t be enough time on most days anyway. However, the truth is that every woman deserves to look amazing, even if she doesn’t have much time to spare for it. Moms who are always on the go would like to invest in quick and easy hair care methods, and here are some easy tips for the same. Both these products are quick fixes and are very easy to use on at least a bi-weekly basis. Dry shampoo is not just for the time when your hair is getting greasy because it hasn’t been washed in a few days; it also helps in styling hair easily on bad hair days. Hair serum is great to rub in quickly after a shampoo, and can keep your hair effectively frizz-free. Simplicity is the key for an easy yet stylish hairstyle for a busy mom. Keep a couple of hair ties and hair bands close at hand, to pull your hair into a quick ponytail, bun or braid. Hair pins add more security and neatness, but can be cumbersome to carry around. Some miniature hair combs also serve the purpose. This might seem like a lot of change, but it doesn’t have to be. Maintaining a simple haircut which is for example, low on layers and bangs, saves a lot of time. You can also invest in a short haircut like a pixie cut or a stylish but simple bob, if you’re tired of tying your hair. Weave Hairstyles are great for those looking to grow out their natural hair while looking good, but without having to style it. 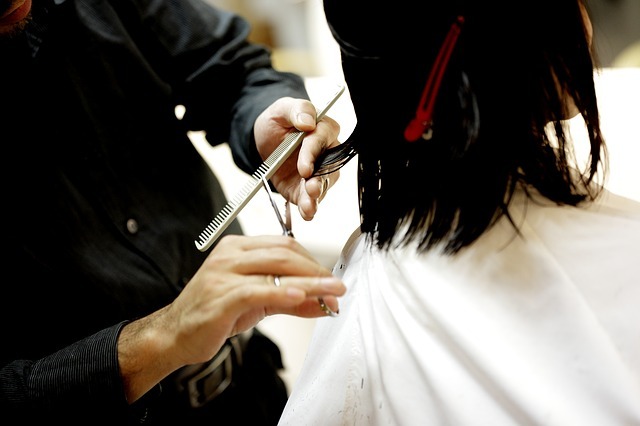 Even if you don’t get time to visit a hair salon often, be sure to give the ends of your hair a trim now and then. This prevents spilt ends from occurring, and reduces hair breakage, helping your hair grow longer in a healthy way. Make time to eat well. At any rate, if not anything else, make sure to drink lots of water. It’s also a good idea to take Omega 3 fish oil capsules, which are good for hair, skin, and eyes as well as for other body processes. You can also mix a tablespoon of apple cider vinegar in a small bottle, and rinse your hair with it after shampoo, for effortlessly shiny and healthy hair. General emotional well-being is also known to be effective in keeping hair healthy and strong. Although moms are naturally busy on a daily basis, it’s a good practice to take time out for yourself and do what you enjoy in particular. A little quality time, along with these tips, goes a long way when it comes to hair care for busy moms.